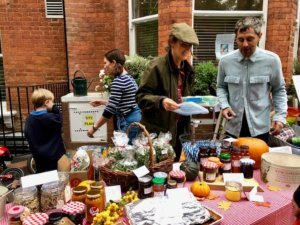 The forecourt was awash with home-made goodies and freshly dug produce. There were yummy cakes, flapjacks, scones, savoury snacks, home-made chutneys, jams and much more. 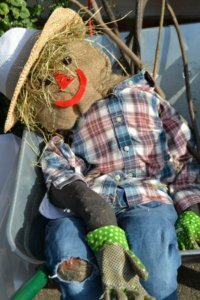 There was also “name the scarecrow” (winner to be announced after Harvest Festival! ).